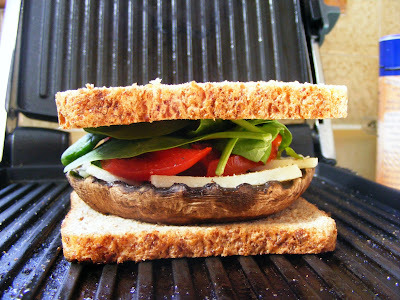 The Lunch Lady: Perfecto Panini! It kinda speaks for itself doesn't it? The word panini literally means little breads in Italian. 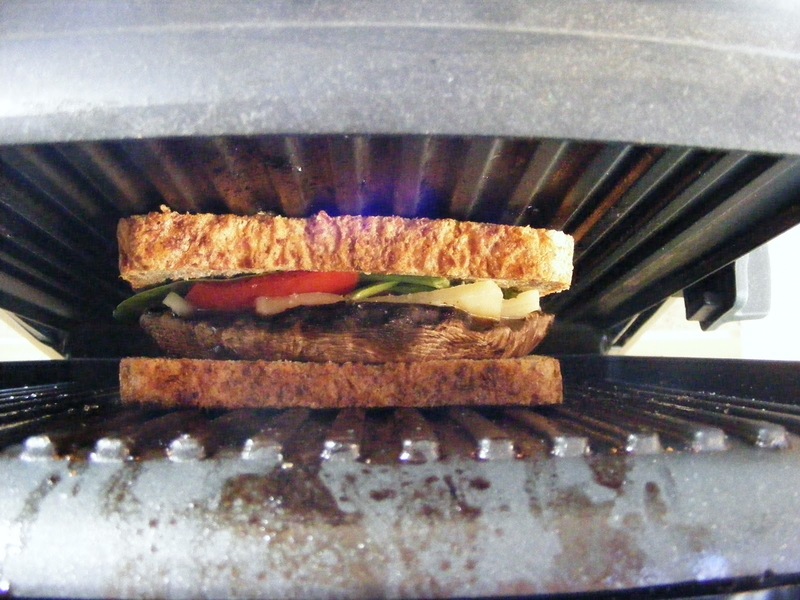 It refers to any kind of sandwich but we often think of hot pressed sandwiches. I love hot pressed sandwiches. 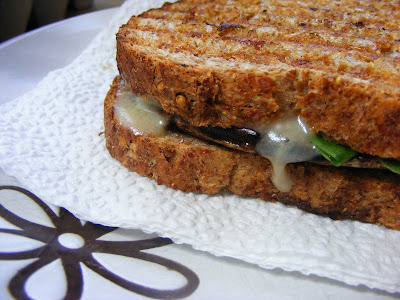 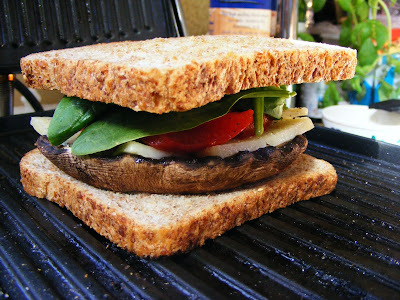 This panini was made with Organic Ezekiel Bread, olive oil, organic baby spinach, one portabello mushroom, a few slices of tomato, and cheese. 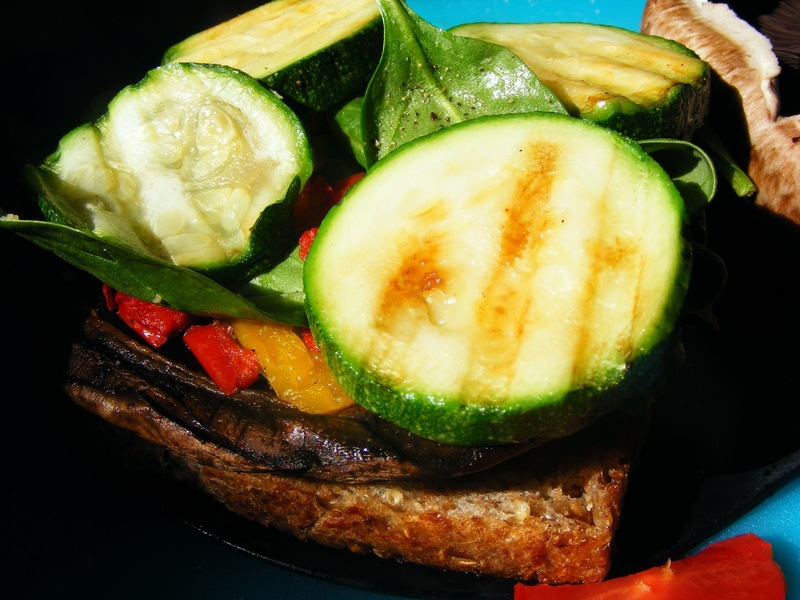 My 11 year old created it. 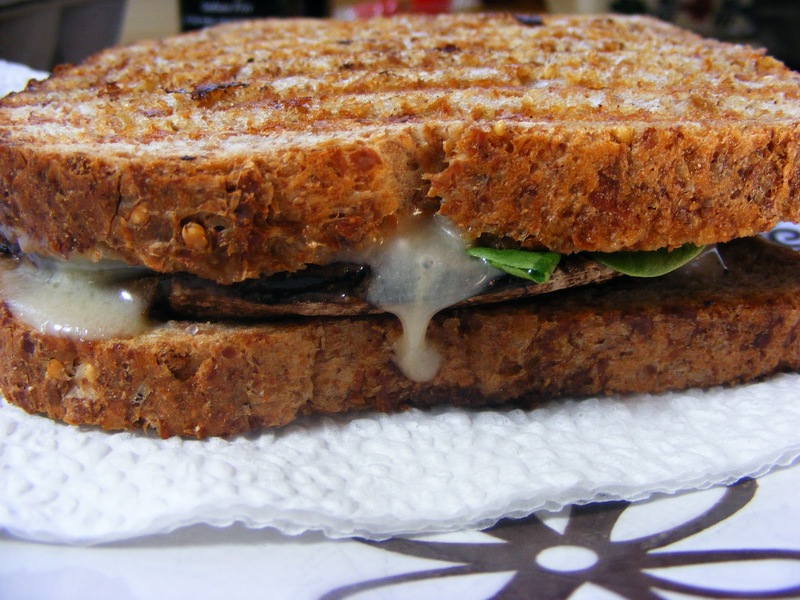 He said it was the best sandwich he ever had. 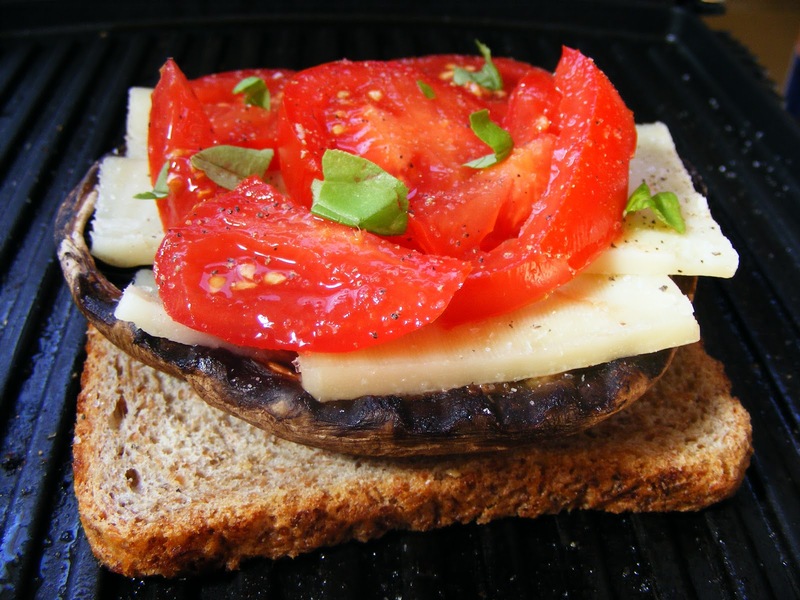 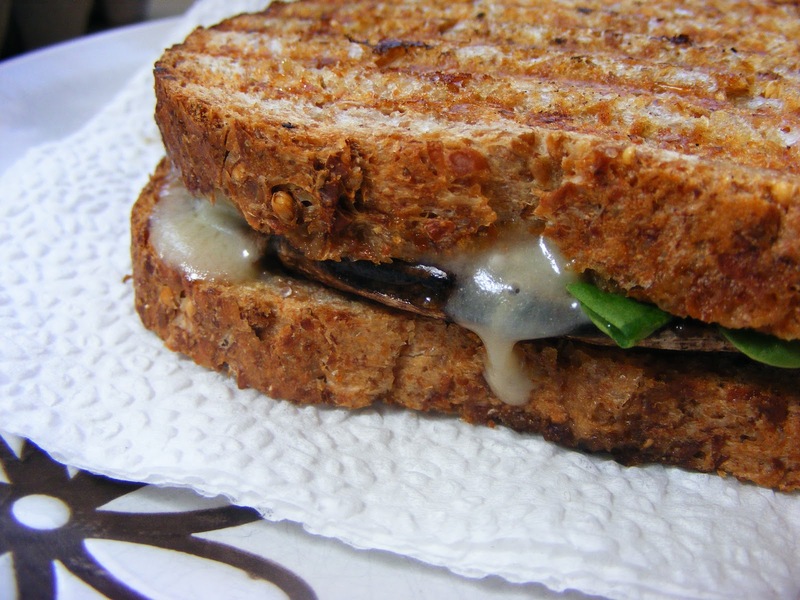 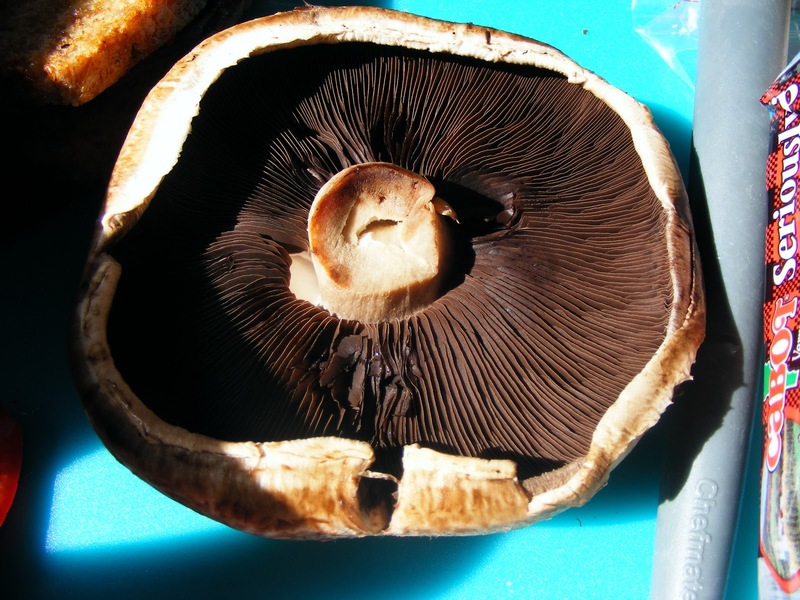 Tips: If you don't have a panini press, just use a heavy pot or pan to press the sandwich on a griddle or frying pan.﻿ When using a portabello mushroom, grill it first till it begins to release it's juices. You can put anything in a panini like pesto or artichokes, leeks, sliced chicken, or onions and peppers. The sky is the limit.